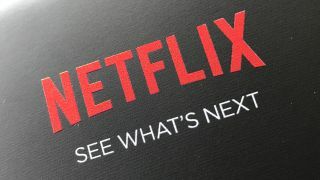 At this point it should come as a surprise to nobody that streaming services such as Netflix are fast overtaking traditional linear broadcasting as a means for people to enjoy television, and now Netflix has hit another milestone in this journey. Research by the Leichtman Research Group (LRG), as seen by UberGizmo found that the install base for Netflix in the US has overtaken that of DVR machines. According to the study, 54% of households now have a Netflix subscription, compared to 53% for DVRs. Both provide a similar service by allowing you to choose when you watch your content, but the way in which they do it differs. On-demand content can be selected and watched with no prior effort, whereas DVRs rely on you setting a show to be recorded before it’s available for you to watch on-demand. This news will likely surprise few, as on-demand content is vastly more convenient than DVRs. Previously, only a minority of shows were available through on-demand services, but what this data suggests is that this is no longer the case, and people have to rely less on DVRs to fill in the blanks as a result. As on-demand services continue to expand their catalogues pretty soon these blind spots are likely to disappear entirely, resulting in there no longer being a use for DVRs at all.